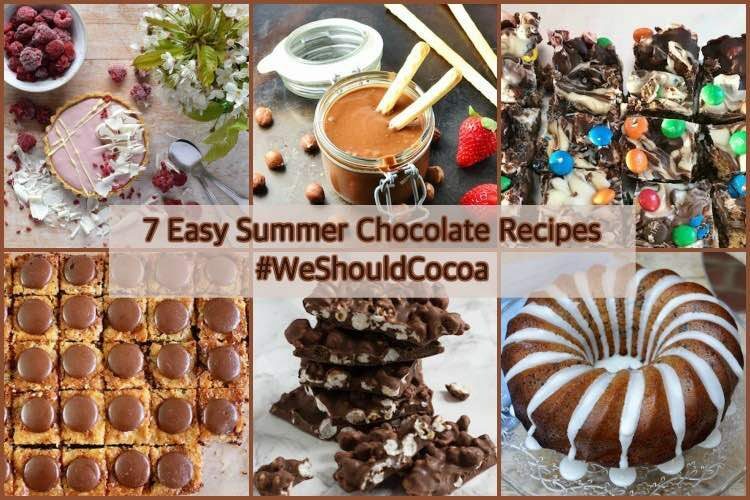 If you’d like to join in with next month’s #WeShouldCocoa, scroll down to the bottom of the post and you’ll find the June link-up. If you haven’t joined in before or need a reminder, you can find the guidelines on the We Should Cocoa page. Raspberry and white chocolate is a wonderful combination and always makes me think of summer. 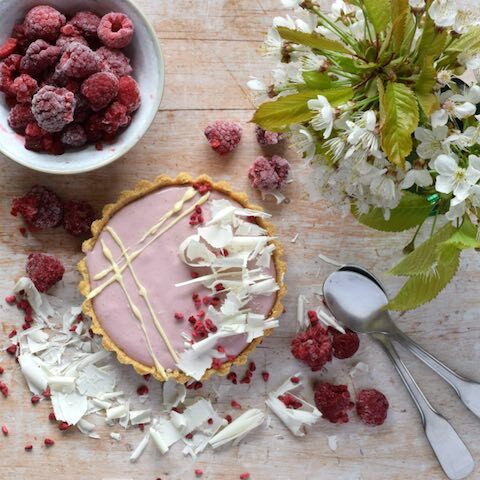 These raspberry & white chocolate ganache tarts from Only Crumbs Remain not only look beautiful and summery, but as Angela says “with a reduced fat ganache filling they’re kinder to the waistline” than you might expect. Do take a look at the video when you head over for the recipe, it’s fun. 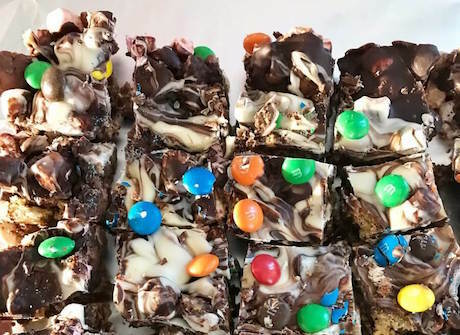 Rocky road will always get my vote, so I was delighted to see this M&M rock road from Baking Queen 74. Lucy made this for a school bake sale, so although I’ve been casting envious eyes at it, it’s probably just as well it wasn’t destined for me. 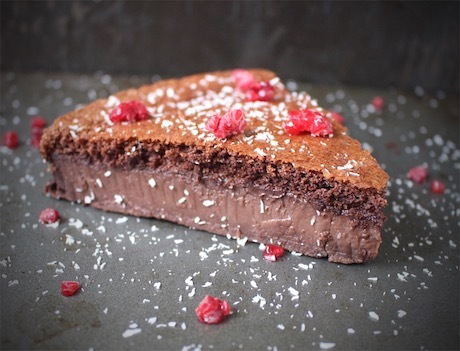 And here’s another no-bake recipe of chocolate deliciousness. Perfect for a sweet treat in summer when, quite frankly, it’s sometimes just too hot to bake. Chocolate and salted caramel popcorn chunks from Recipes Made Easy. 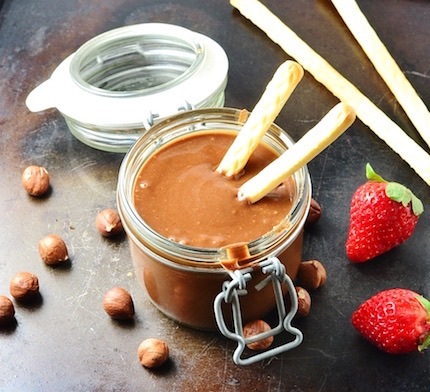 If you want to get your chocolate fix another way, Everyday Healthy Recipes has come up with this healthier chocolate hazelnut spread. Chocolate and hazelnuts are a winning combination that we all know and love. Sylvie from The Foodie Journey has beaten me to it. I’ve been meaning to make a magic chocolate cake for years, but it’s one of the many things I still haven’t got around to. It’s hard to believe you can get such a good layered effect from making just one cake batter. My double delight bundt cake made with chocolate rum & raisin and coconut lime batters swirled together requires the oven to be on. But even the hottest summers have birthdays and other celebrations in need of cake, so I’m making no apology for my contribution to these 7 easy summer chocolate recipes. Even though it’s not summer in Melbourne, this sloth slice (brilliant name) is super easy to make and won’t keep you chained to the kitchen for very long at all. This easy choc chip slice from Green Gourmet Giraffe is made from condensed milk, chocolate and coconut. It sounds scrumptious and just the sort of thing I’d be tempted to eat far too much of. 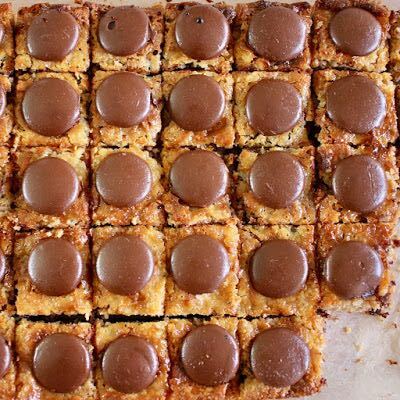 7 Easy Summer Chocolate Recipes. PIN IT. I am loving the look of all of this months bakes! 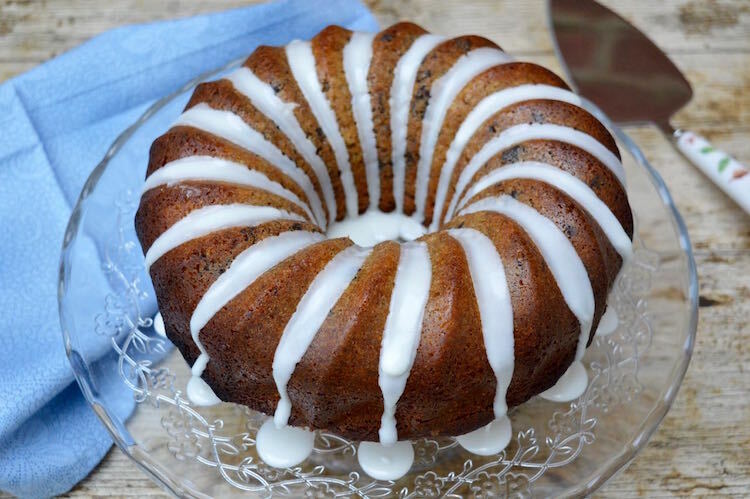 Angela’s gorgeous tarts, the sloth slice and your double bundt all sound magical! Hope to try one of them soon, though my waistline may not be happy with me. They look scrumptious! This is a yummy month, Choclette. They do indeed look good Angela. Just as well I can only be tempted virtually. What a delicious selection of chocolate yumminess. I’m loving Sylvie’s chocolate magic cake – as you say it’s amazing how they’re made with just one batter. Yes, that cake really has to be tried. Seven years on my bookmarked list is really too long. That is very strange indeed! Luckily, I now know you’ve gotten over the blip now and I’m glad to welcome you back to the party. I’ve managed to bake with chocolate this month, so I’m adding to the June link-up. I don’t do as much baking any more so my participation may be sporadic! Lovely to have you back Suelle (even if only briefly) and I look forward to finding out what you’ve baked.